Beautiful – I loooooove poppies! One can never go wrong with a field full of poppies – eye-popping for sure! Beautiful flowers, and the same color as the flower I had in a recent vision along with the word “Thrive”. I have to look up that color. Oh, Yvette! 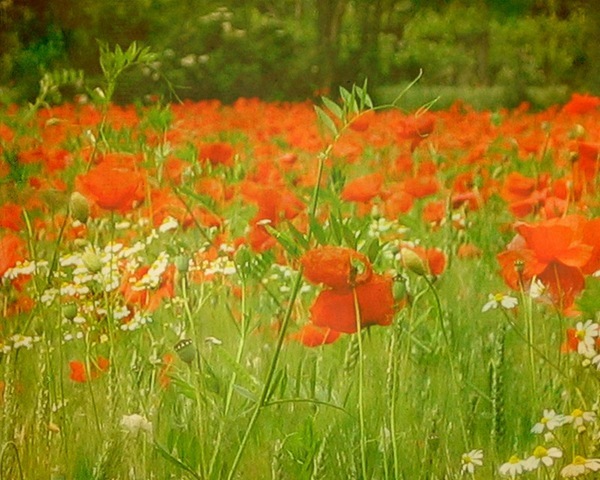 Maybe it’s because of my love for The Wizard of Oz but I find poppy fields to be absolutely beautiful. This is a great photo. Love it!